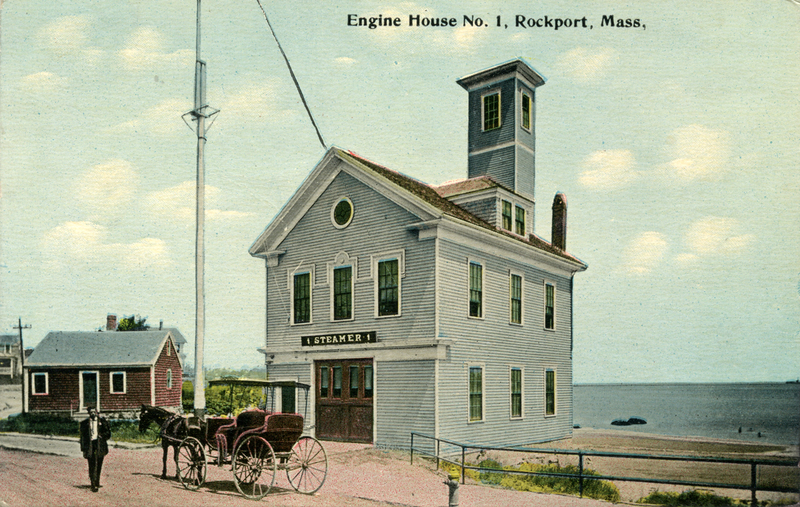 This engine house on Front Beach in Rockport was home to the Sandy Bay fire company until 1939, when a new combined fire and police station was built on Broadway. The core of this building was originally constructed as a fire house in Dock Square in 1830 and then moved to Beach St. in 1855. The tower was for drying the cotton hoses they then used. After it went out of service as a firehouse in 1939, it was used for many years as a facility for tourists. It was demolished less than a decade ago and replaced with new tourist restrooms. 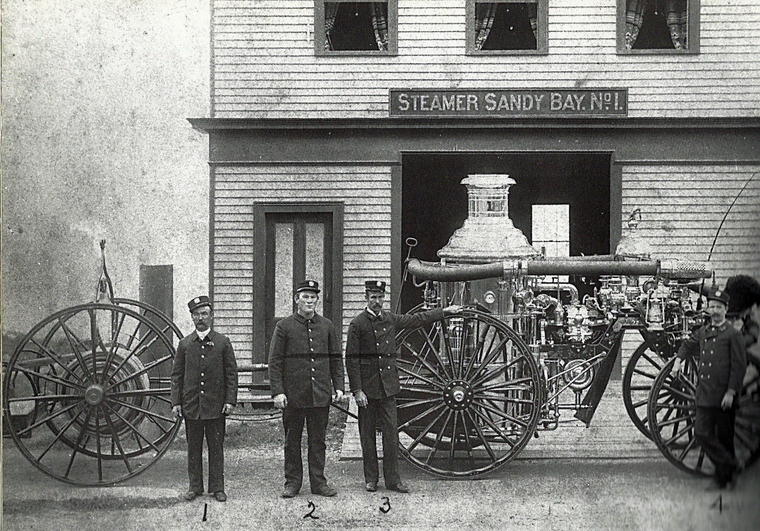 The first fire department in Sandy Bay was organized in January 1807. The first fire engine was purchased in 1827. The second fire engine was purchased by Gloucester and located in the building pictured here. Around 1885, the town bought the steamer “Sandy Bay” and this building became its home. This postcard was postmarked on July 30, 1912. There is no information about its publisher. Wonderful to read the history of Rockport! Thanks for Sharing!